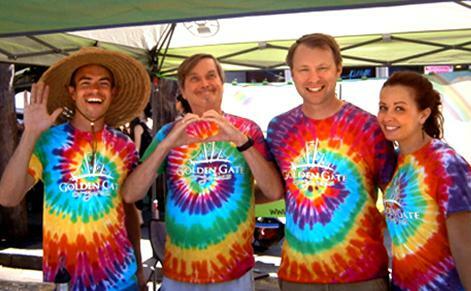 Signing up for your Golden Gate Organics account is fast, easy, and comes with a load of great benefits on top of affordable organic produce and groceries. No Contract: Weekly and bi-weekly deliveries and skip your delivery at any time. Incredible Customer Service: Have a question or problem? Let us know and we’ll make it right. Customizations and Substitutions: Customize your box with a click of the mouse and choose from a large selection. Simple Billing: Your card is only charged the day after delivery. 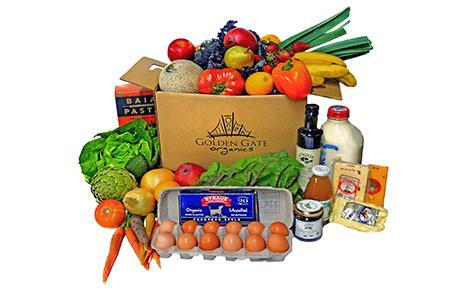 The perfect box for a happy organic couple, or the supply of a week's worth of delicious produce for a vegetarian. what's in this week's box? Are you a young family or do you have a couple of roommates? This box is ideal for three people or a couple with a little one, who want an exceptional produce experience, every week. The ideal box for you and your entire family's organic produce needs, for all the healthy, local, and delicious fruits and vegetables you could be craving - delivered to your doorstep, every week. 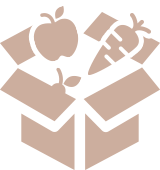 A great array of healthy organic fruits and vegetables for one person, each week. Get some great ideas and inspiration for delicious dishes you can make with with ingredients found in our boxes. If you have a Living Social or Groupon Code, use it here to redeem your trial box. Whether you are a single entrepreneur or a fortune 500 company, we have the lowest cost solution to healthy, happy, and productive employees. Let’s decide together what is best for you. 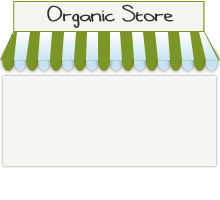 We visit businesses each month to discuss the benefits of organic food and eating healthy. We would be delighted to discuss your needs and custom-build a program to perfectly suit your needs. Whether you want to try organic samples for all your employees or organize a company wide health and wellness fair, we are here to help. Ready for your box of 100% certified produce and groceries? We build custom menus that are tailored to your personal preferences each week based on what's fresh, delicious, local, and in-season. Everything we deliver is 100% Organic. Get the latest news and updates, recipes, special deals, and other good stuff delivered right to your inbox. © 2019 Golden Gate Organics. All rights reserved.